Happy Mother’s Day to all of you. 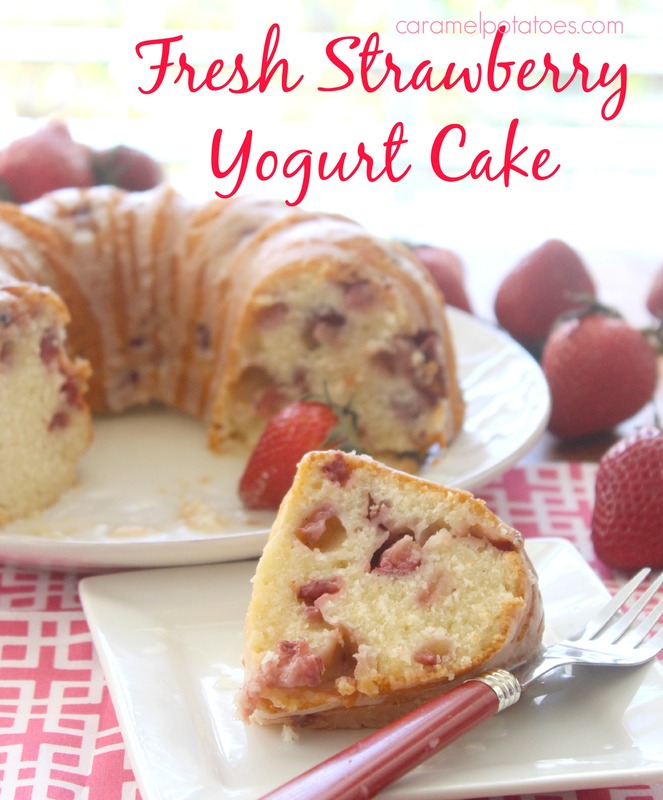 If you are looking for a wonderful way to celebrate, this Fresh Strawberry Yogurt Cake is perfect! The cake is made with Greek yogurt and is incredibly moist plus filled with fresh strawberry flavor! Top it off with a little drizzle of fresh lemon glaze and you’ve got an irresistible combination. The day I made this cake I drove my husband crazy – it smelled soooo good when it was baking and he was so anxious to try it; of course it had to cool and then I had to glaze it . . . by the time I started to photo it my husband could hardly stand it any longer. Haha – I caught this great photobomb on my camera! 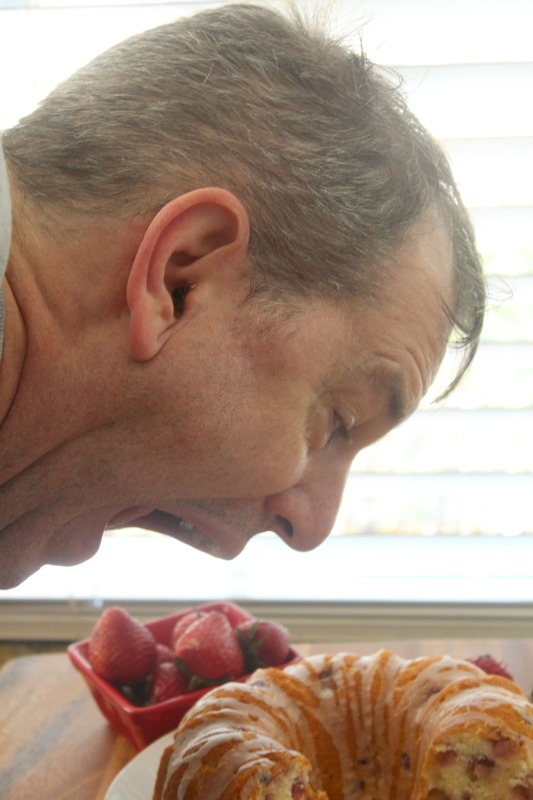 Seriously – this is good cake! You could serve it for dessert or add it to your brunch menu. I promise – you are going to love it. Keep the recipe on hand for summer barbecues and family reunions – it’s a crowd pleaser! Note: I actually used two six-cup bundt pans and reduced the cooking time by about 15 minutes- read more here. Looks so good, moist and soft. Such a nice springtime recipe! Ha Ha. That’s a hilarious picture of my brother. It doesn’t even look like him- he looks about 3x’s his actual size somehow- but his eagerness is very funny. It also really makes me want to try that cake- even more than I already did. Cause you know- everything you make is well– delicious! This looks delicious! Pinned to the Tickle My Tastebuds board and featuring your post at this weeks party. Can’t wait to see what you share this week!